Goodreads: Tracey Ross never knew another dad. Her biological father died when she was just seven months old, so the arrival of a stepfather four years later seemed to fill an empty spot in her life. For years, she thrived on his presence and the trips the family took in the unspoiled mountain wilderness of Idaho. All that changed suddenly when she was eight. As if awakening into a nightmare, she experienced the first of dozens of sexual attacks by the man she most trusted. 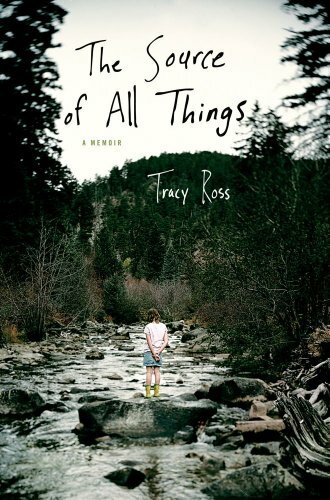 This piercing m emoir recalls those nighttime visits, but stretches far beyond those loathsome moments, recounting the emotional struggles that Tracey experienced even into her adult years. In a poignant section, she recreates the recent meeting in which she confronted her betrayer. An unforgettable memoir of a brave woman's recovery. Kritters Thoughts: A memoir that was I excited to receive, but was disappointed as I read it. A story of abuse and forgiveness, but I had the hardest time wrapping my head around the events that happened in this woman's life. At many points I had to continue to remind myself that this was a true story and this woman exists. As a whole I enjoyed the book. I didn't understand her ability to forget and allow her parents to continue on unpunished and unaffected by the events that happened in her family. They were able to sweep everything under the rug - how? The other thing that threw me for a loop was her moving around - she moved and moved and moved. I don't know what I would have done, were I in her situation, but the constant moving would have made me go bonkers. Because I didn't understand how the family worked, I didn't care so much for the book. I respect the fact that it is a memoir and true, but I just couldn't enjoy the book. I would recommend it to those who enjoy memoirs - this one will be hard to get through at times due to the subject of the book. I don't know if I could read this book, but thanks for the review!